Torklift International’s PowerArmor series consists of 100-percent aluminum battery boxes with a high-impact powder coat frames. PowerArmor boxes come in a range of sizes to fit multiple 12 and 6-volt T105 or SC2 golf cart batteries. The boxes are lockable to prevent theft, and include an acid neutralizing mats to prevent battery corrosion. New for 2018, Torklift International is announcing the PowerArmor Single, a single battery version of the successful battery box series. The PowerArmor single measures 17 3/4-inches in length and can be mounted in a wide range of locations including boats, trailer tongues, and camper bumpers. Further enhancing its versatility, the PowerArmor series is available with Zamp solar panels that act as battery box lids. 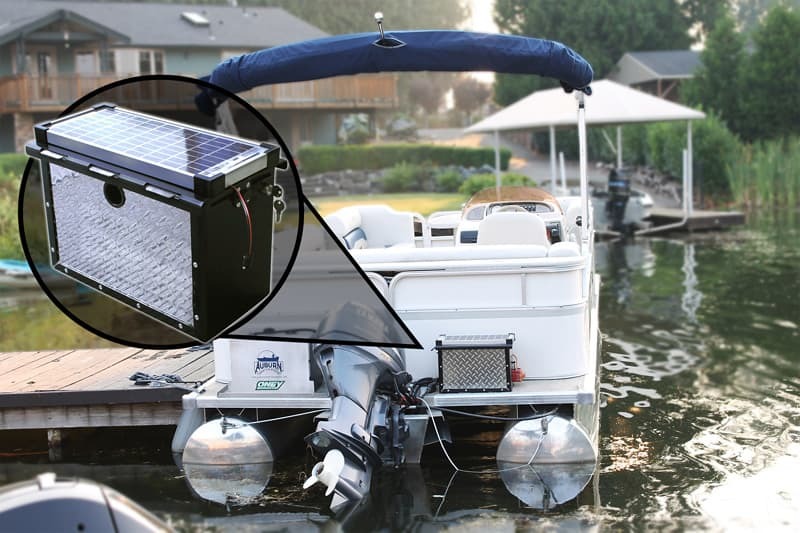 The 10-watt Zamp panels help to charge and maintain the enclosed batteries. The MSRP for the PowerArmor Single is $215.99 (part number A7720R). The 10-watt solar panel version (part number A7720RS) is $395.99. The PowerArmor Single is made in the United States and comes with Torklift International’s Lifetime Warranty. To read more about Torklift’s PowerArmor products, click here. To request a free Torklift brochure, click here.